In the main event, bantamweight contenders Raphael Assuncao and Marlon Moraes rematch in a five-rounder. 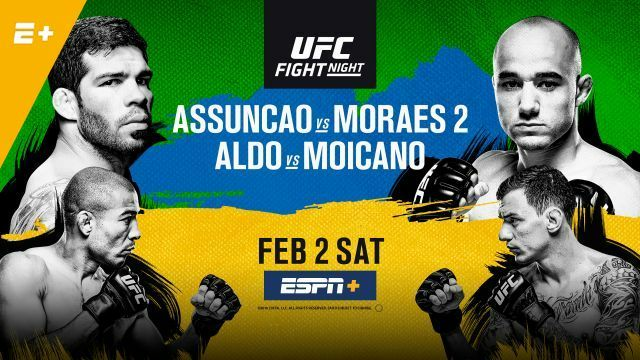 Jose Aldo returns to action against fellow Brazilian and rising featherweight contender Renato Moicano. Main card start time of 8 PM ET/5 PM PT, with prelims at 5 PM ET/2 PM PT.